Shetland could potentially win additional money for social housing if projects are ready to proceed and other local authorities are unable to spend their full allocation within any financial year. While opening phase one of Hjaltland Housing Association’s Stura development, in Tingwall, yesterday morning, Scottish housing minister Kevin Stewart strongly hinted that more money could well be made available. The news was welcomed by the association’s new chairman Agnes Tallack, who said the association was that it was ready to spend any additional funds that would be made available. Built by local construction firm E&H Contractors, the Stura development consists of unit 16 social rent units. The Scottish Government contributed £1.6 million to the overall development cost of £2.5 million. Work on a larger phase two of the same project is ongoing. Mr Stewart said: “What the government had put forward are plans to spend over £3 billion over the course of this parliament, which is being divvied up amongst local authorities. 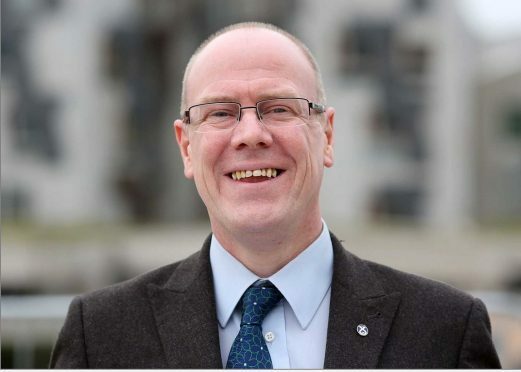 “And I have said, and the First Minister has reiterated it, that if local authorities cannot spend to these resource planning assumptions, then we will give that to the authorities that can. Ms Tallack said: “Hjaltland hasn’t shied away from continuing to plan because we do realise that there is a great need in Shetland, and you only have to look around at these homes to see why people want them.